Yummy!!!! Italian seems to be one of everyones favorite food. I know that it sure is one of my favorites. All over internet now you can find really neat and cool recipes for Italian dishes. 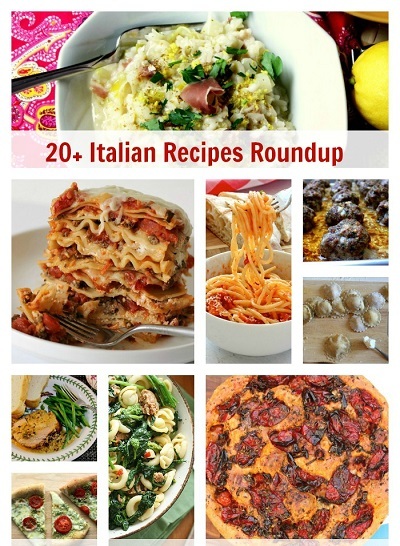 Well here is a fantastic roundup on 20+ Italian Recipes Roundup. Have a look through this list as I am sure you will find something that you are going to love.